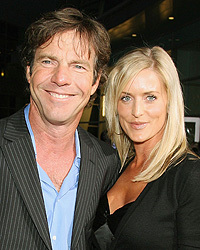 The hospital where Dennis Quaid's newborns received an accidental overdose has been cited by California regulators for placing the twins in immediate jeopardy, reports the Los Angeles Times. Cedars-Sinai Medical Center gave the babies 1,000 times the proper dosage of medication on Nov. 18. A total of three children were over medicated with the blood thinner heparin in what the hospital called "a preventable error." "This violation involved multiple failures by the facility to adhere to established policies and procedures for safe medication use," the Department of Public Health writes in a 20-page report. "These violations caused, or were likely to cause, serious injury or death to the patients who received the wrong medication." Since the mistake, Cedars has implemented a "series of changes" in training and procedures.